Livestream Studio HD510 Live Production Switcher con 17" Touchscreen, Mixer Trasportabile 5 inputs SD-HD/SDI o HDMI + 2 remote cameras , 1 out SD-HD/SDI e HDMI, multiview integrato nel monitor touchscreen incorporato. The Studio HD510 Live Production Switcher is an all-in-one, broadcast-quality, 5-input switcher with an integrated 17" LCD touchscreen and comes pre-installed Livestream Studio production software. Connect up to five HDMI or professional HD-SDI cameras and stream to in-venue screens or to the web using the built-in HD multi-bitrate encoder. The HD510 can be rack-mounted using the included accessories, making it suitable for studios, production facilities, live venues, and production trucks. Also included is a Livestream Studio keyboard, a mouse with mousepad, power cord, racks ears, screw-on protective screen cover panel, and a Tom Bihn carry-on bag. The HD510 is built to perform with a 3.2 GHz six-core i7 processor, 8GB of RAM, and a 1TB 7200rpm hard drive capable of recording four simultaneous isolated (ISO) recordings or 20 hours of broadcast-quality HD video. It is designed to broadcast television SMPTE and color sampling standards, supporting formats up to 1080p30/25 and 1080i60/50 and featuring 10-bit 4:2:2 video and 24-bit 48 kHz audio processing. Five Blackmagic Design DeckLink Mini Recorders provide support for five inputs sources, with each input available as HDMI or HD-SDI. A Blackmagic Design DeckLink Mini Monitor provides an HDMI and HD-SDI output. Two remote camera sources, such as a live feed from your Livestream account and a remote computer desktop, as also supported, providing a total of seven live inputs. The HD510 supports embedded audio from SDI and HDMI input sources, as well as analog audio via a 1/8" input. Audio monitoring is available via a 1/8" output. The pre-installed Livestream Studio live production software provides a full field rate multiview that displays all live inputs, graphics, and media players in real-time. The multiview features audio monitoring for each input and audio PPM overlay with peak hold on all inputs and outputs. Monitor and control your feeds using the 17" touchscreen and even extend the display to a second monitor thanks to the integrated NVIDIA GeForce GT 520 Commercial Series graphics card. In terms of graphics, two layers can be overlayed and mixed with transparency. Add text, images, live picture-in-picture, countdown graphics, and more. The HD510 features a built-in 17" touchscreen LCD with LED backlight. The monitor flips up from the base and lets you easily switch between preview and program, choose transition wipes, control audio levels, and add media content with just one tap. Monitor all your cameras in real-time thanks to the built-in multiviewer. The multiviewer features on-screen full field rate multiview of all live inputs, Preview, Program Out, two GFX and two DDR, and Audio PPM overlays with peak hold feature on all inputs and outputs. The layout is resizeable to allow for hiding of all controls to maximize multiview screens. The built-in NVIDIA GeForce GT 520 Commercial Series graphics card lets you extend the multiview to an additional screen via an HDMI connector. Cut, dissolve, or select from a collection of SMPTE wipes, with feathering and positioning control. Fade time durations can be manually adjusted in frames via the on-screen T-BAR or keyboard shortcuts. The integrated multi-channel audio mixer features mix automation, SDI and HDMI embedded audio, level monitoring, peak warnings, as well as channel grouping. The incorporated video switcher follow feature supports audio crossfade when fading between two video sources. The HD510 also supports the use of external audio mixers. The HD510 supports embedded audio via HD-SDI or HDMI inputs. You can also bring in separate analog audio using the 1/8" input, or from any USB audio device. The 2-channel graphics generator is built-in the GUI and allows you add text, transparent images, live picture-in-picture video, countdowns, and a range of graphic effects including drop shadows, borders, crops, and more. Create templates to quickly change sport scores, lower third text, or other graphic elements on-the-fly. Record your program output in broadcast quality MJPEG to an AVI file for archive and editing later in your NLE software, or for playback directly within one of the Livestream Studio media players. The HD510 supports up to four simultaneous isolated recordings (ISO). Choose from clean graphics-free video, video with graphics, as well as any live camera input. You can also open the files being recorded in the media players to trim and replay segments from your live show without stopping the recording. Add recorded material to your program quickly and easily with the two media players built-in to the Livestream Studio. You can import popular media formats such as H.264 video, MP3 and WAV audio, build playlists, loop clips, and auto-play on transition. You can also scrub through footage and trim clips down for broadcast. When working with clips that do not match your project settings, the built-in transcoder is available for file conversion. You can even get basic instant-replay functionality by loading an ISO recording into the media player. The HD510 supports four simultaneous recordings. Record up to 20 hours of 1080i video at 100 Mbps in AVI MJPEG with uncompressed audio to the internal 1TB hard drive. Interlacing and "Time of Day" timecode are supported. 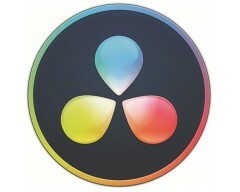 Recording is fully compatible with Blackmagic Design Media Express and Adobe Premiere. Use the tally light integration to let your talent and camera operators know which source is live and which source is coming next. The HD510 supports tally devices from MetaSETZ. With an optional Livestream Platform Enterprise account, you can add your Google DFP ID to add mid-roll advertising to your live streams. Simply press the "Insert Advertisement" button.